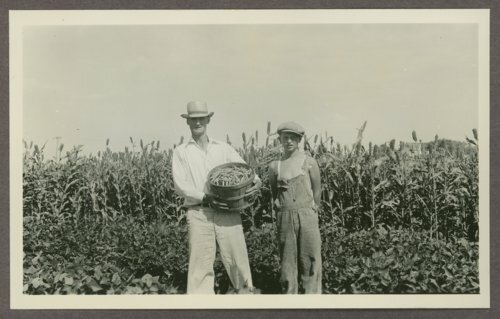 This is a photograph showing a man and boy with a basket of produce picked from a community garden in Colby, Kansas. The city supplied the water for irrigation. The photograph was removed from the Relief Garden Program of 1935 portion of the Kansas Emergency Relief Committee collection.